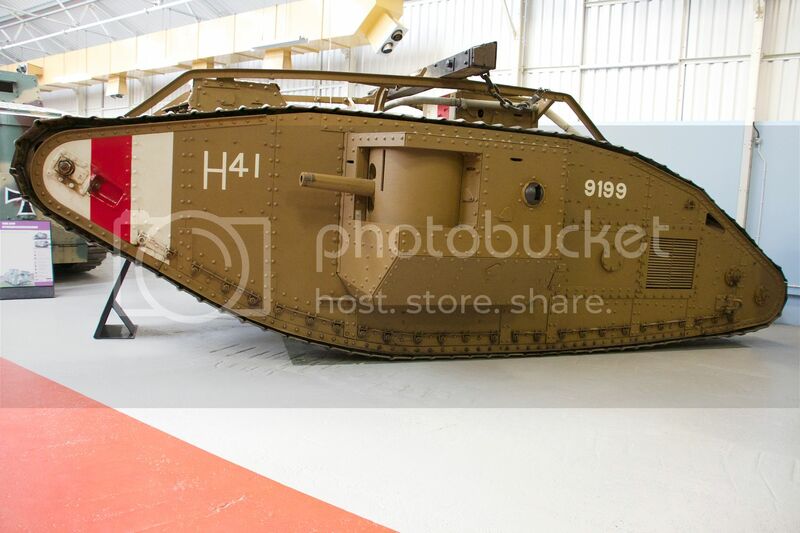 A few of those WW I land ships taken at Bovington in 2014.
from memory was donated by Peter Jackson to the museum after the film was wrapped. 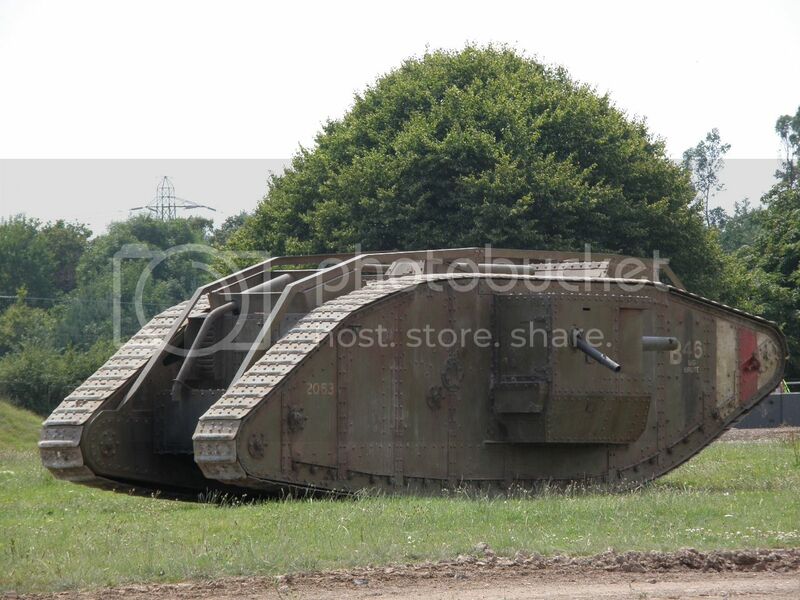 ideas with Steven Spielberg's people make the tanks for War horse? Some fascinating info and topic there Dave. One curious question - why are some tanks female and some male ? Note: Mistakenly given serial number 2025 on Battle history sheet. 2025 is Arethusa's number." 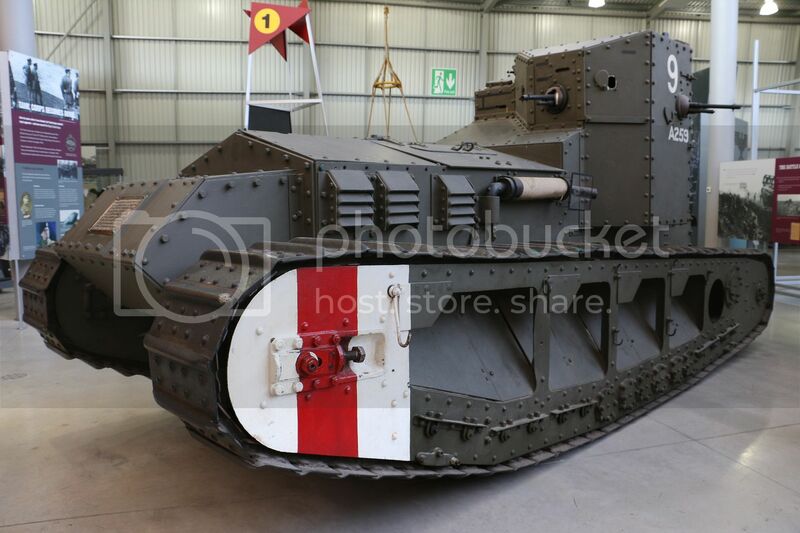 A Mk IV female tank which undertook a war bonds tour of the USA; not 2561 or 2668." Is it that the male tank has a barrel ? 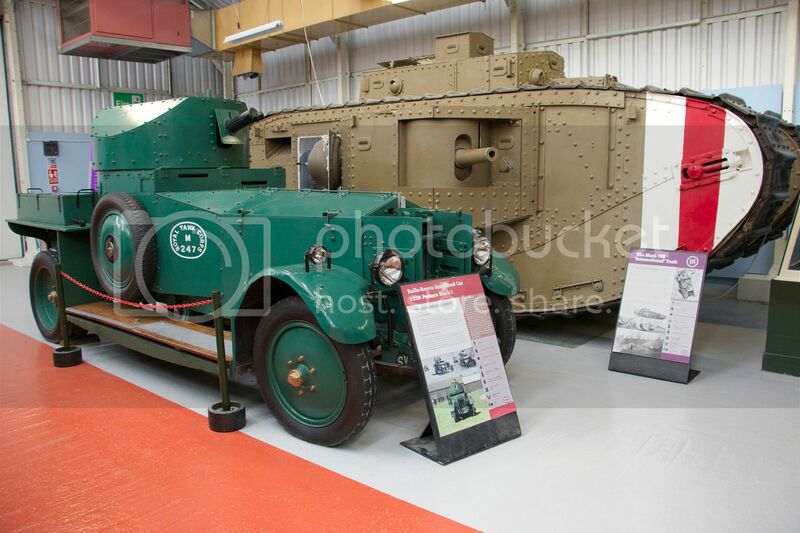 Male (British) tanks were armed with guns (naval 6-pounders from memory), while females had MGs.